What does sustainability mean to you? Sure, you’ve probably seen the Venn diagram model. 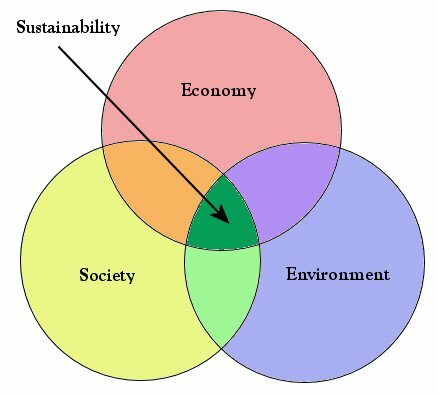 You know, three overlapping circles representing environment, society and economy with sustainability residing at the centre of the diagram, where all three circles partially coincide. Perhaps you know of other sustainability models (click here for an overview). But what do they really mean? What about the related concept of sustainable development? A more tangible notion than sustainability it nevertheless has been appropriated by many competing ideologies, from the conservative to the revolutionary! (Want to know more? OK then, click here) To be honest, it’s all very confusing. But that’s why I‘m undertaking a PhD with the School of the Built Environment at Heriot-Watt University. To understand precisely what sustainability is and how it should be applied in the context of the built environment. And the best-in-class sustainable refurbishment of the historic former Royal High School building, to provide accommodation for ECCI and its partners, has provided me with a unique opportunity to do just this. 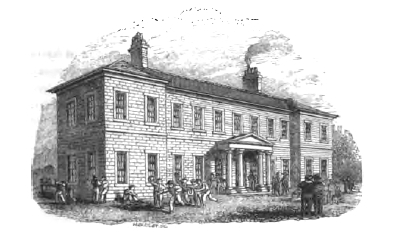 During the course of my investigations, I’ve been fortunate enough to have interviewed many key stakeholders involved in the ECCI building project – client representatives, prospective buildings users, members of the design and construction teams, etc. – regarding how sustainability is being implemented at High School Yards. But how does one make sense of and organise such a complex notion as sustainability? Well, I stumbled upon a rather unique way of considering the notion. It’s a bit of a mouthful (and, at first reading anyway, a headful!). It’s called (hold on to your hats…) the Cosmonomic Idea of Reality, a pluralist ontology conceived in the last century by the Dutch philosopher Herman Dooyeweerd (see what I mean?). Although it’s a sophisticated conception, in essence Dooyeweerd’s cosmology is relatively straight-forward and actually quite intuitive. I used the framework underpinning this philosophy to structure my interview schedule and questions and in doing so I’ve been able to extract a rich trove of data from the completed interviews. Moreover, I have determined some consistent ‘sustainability threads’ running through the project narratives provided by each of the interviewees. For example: reducing the consumption of energy and associated emissions (both embodied and operational); an appreciation of ethics through the appropriate sourcing of materials and ‘doing the right thing’; and a commitment to innovation and social interaction. My intention is to compare these findings with how sustainability is currently being evaluated on the building project (i.e. via a BREEAM scheme) to see if the manner in which interactions with building sustainability assessment schemes can be improved. I’m looking forward to further fruitful engagement with ECCI in the near future. You can read more about Stuart’s work here.